A desk to complete an existing home-office scheme. Using 2.5mm engineered veneers (thicker than standard 0.7mm) enables us to make furniture pieces that would otherwise not be possible in a solid material. The benefits in this situtaion are consistent and beautiful, defect free, wide grain patterns, no unsightly end-grain and, from a functional perspective, stability; a desk that will remain true and flat for generations! ..And…not forgetting the ecological and economical positives of using veneers. The thicker 2.5mm engineering veneer enables us to apply edge treatments, such as chamfers and round overs, which provide a tactile and comfortable working surface for the user. This additional thickness allows for a deeper take-up of finish (hard wax-oil) and should any kind of disaster happen in the piece’s lifetime, we’ve enough material to work a refinish. 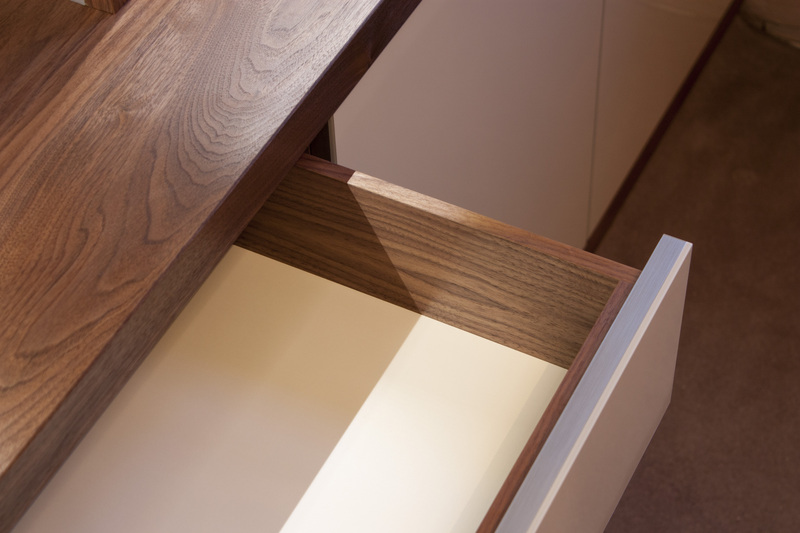 The piece includes: suspension filing and stationary storage on push-to-open drawer runners. Concealed corner cabinetry for tech and a luxurious mirror gloss cream facia and end panels wrapped in solid American Black Walnut. We’ve been super, super busy in the workshop recently. Currently we are on Part 3 of a 3 Part buit-in furniture install at a luxury penthouse apartment. Below is a sneak peak of Parts 1 & 2 now almost complete, awaiting handles and carpeting. We are delighted to be part of this deluxe property refurbishment by Julian Maurice Developments it’s going to look stunning when complete. 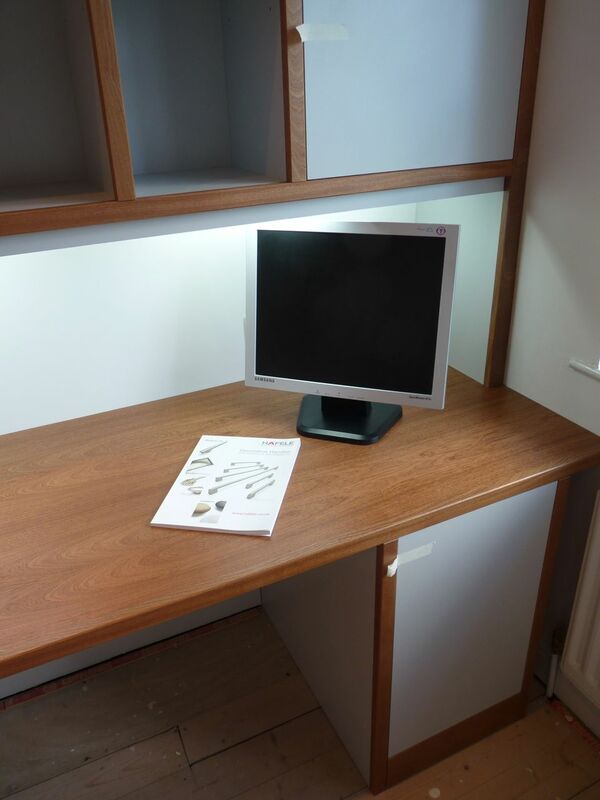 Part 1 – Built-in Office (Crown cut Sapele with a blue grey Matt Textured Melamine). 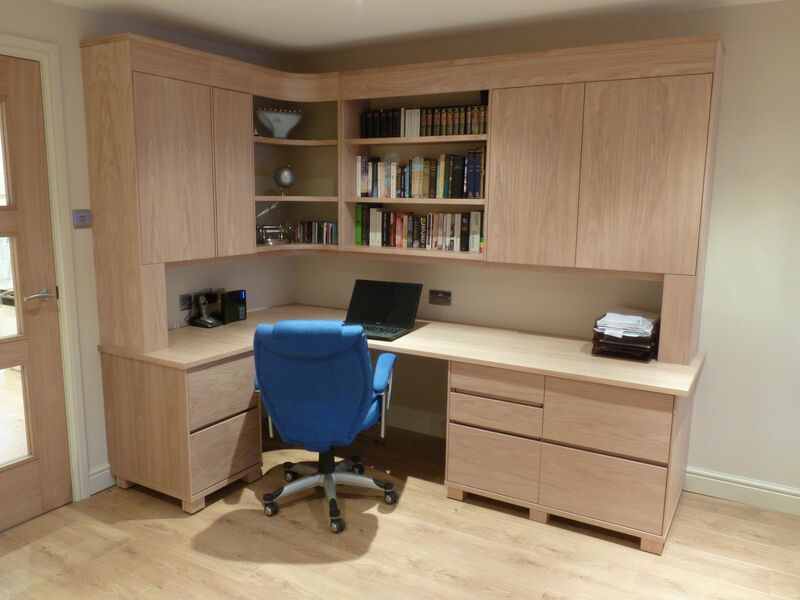 Recently completed is a Home Office install in European Oak, part of an open plan lounge in a new refurbishment. A commission to design and deliver a custom scheme to match existing furniture, providing a seamless harmony in design and materials. 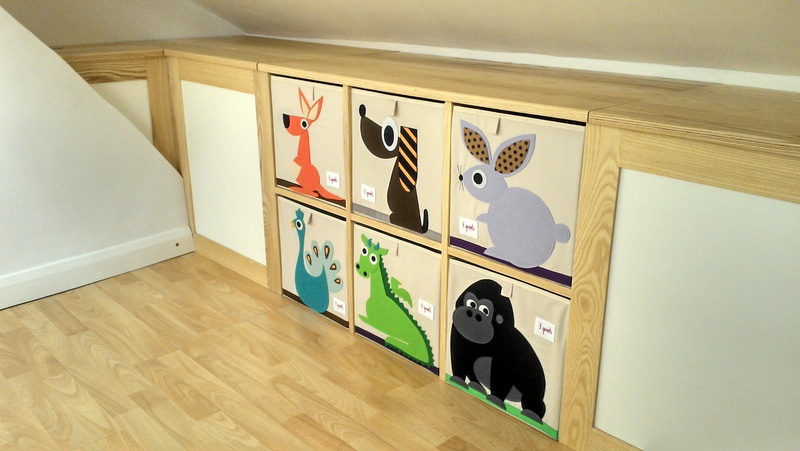 The design has all the added benefits of bespoke with features such as a concealed printer pull-out, filing systems and intergrated downlighting. The client had already selected and purchased a modern sideboard and dining suite from a high end furniture manufacturer, however they were unable to find an office design to match.